Metcut tests 60,000 specimens a year. In addition to these specimens we also design, build and operate many special fixtures to perform custom tests. We provide more than 105 MTS® closed-loop servo-hydraulic test machines, with capacities ranging from 2.5 to 220 kip and up to 90 Hz., to quantify and analyze fatigue and fracture behavior of structural materials. Metcut maintains 30 mechanical machines for high-cycle fatigue testing. Over 141 creep/stress rupture units, four Universal machines assess tensile, compression, and other mechanical properties. 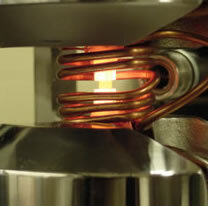 Testing environments include specific gas and liquid media at temperatures ranging from -320°F to 2400°F. Our quality system assures consistent calibration and accurate data traceable to NIST.